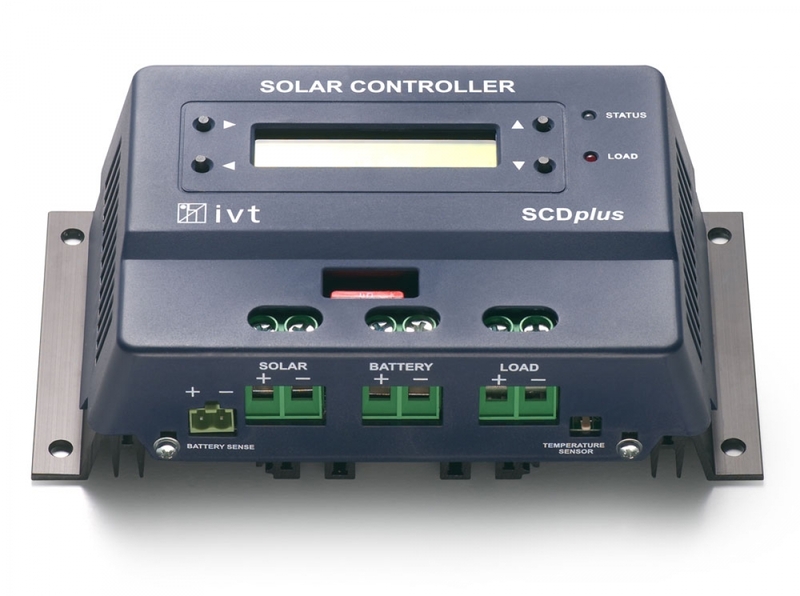 The high quality SCplus/SCDplus Solar Controllers by IVT are characterized above all by their versatility. They offer 4 predefined charging characteristics, which are optimally attuned to all common battery types. In addition, their load output is equipped with various special functions which can be adjusted individually. Furthermore, using the free software certain charging parameters can be programmed and the data evaluated. 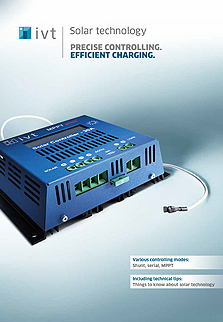 Individual charging – extremely efficient and reliable. 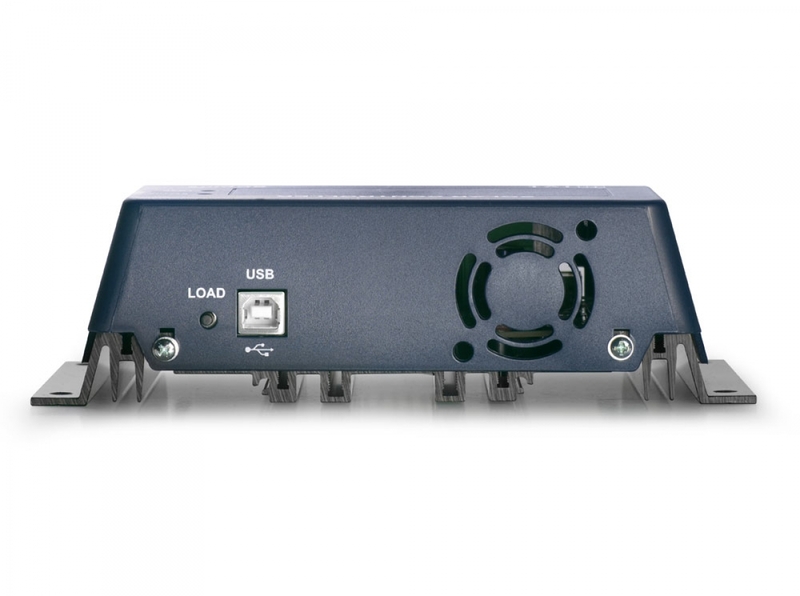 For the pulse-width-modulated serial controllers 4 different charging programs are predefined, specifically attuned to the respective battery type: lead-acid, lead-gel, lead-AGM as well as LiFePO4. In addition, a user-specific charging program can be selected. A connection between solar controller and PC can be set up with the aid of the USB interface. Using the windows software and your PC it is comfortably possible to modify the factory settings. Furthermore, the operation data of your solar system can be recorded, stored and evaluated. The solar controllers can be operated in 12 V or 24 V systems. At this, the system voltage is determined automatically. 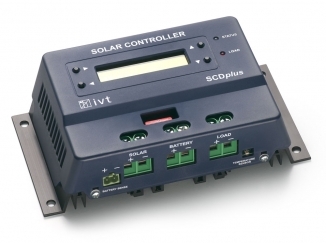 An additional SCDplus solar controller with 40 A is available for 48 V systems. During the charging process the prevalent temperature is measured by means of the external temperature sensor. 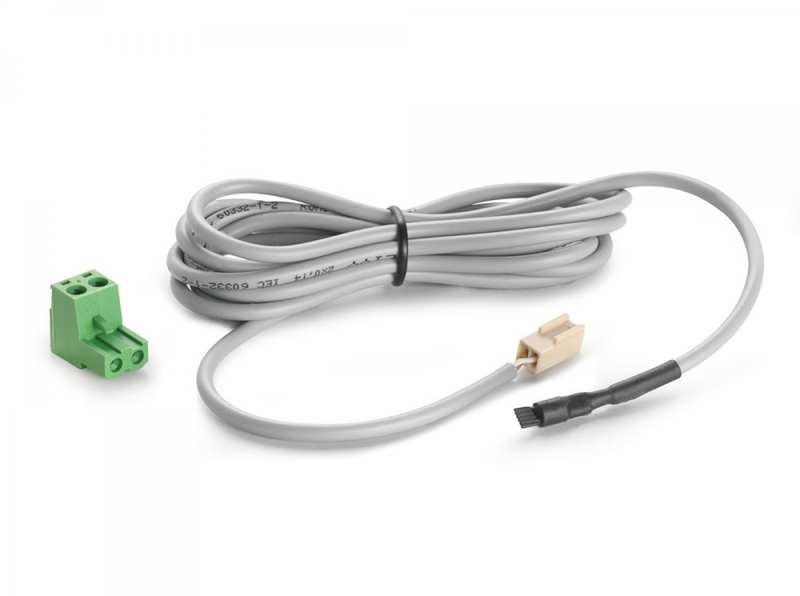 This allows for the dynamic adjustment of the cut-off voltage to the temperature conditions. At high temperatures the cut-off voltage will be decreased – overcharging and unnecessary gassing are prevented. At lower temperatures the cut-off voltage will be increased. An even more precise function of the solar controller is possible by using the integrated voltage sensor terminal. By means of the cable between solar controller and battery the batter voltage is measured even more exactly. This allows for a more precise charging. Multi-step charging technology - Attuned to the defined battery type. Depending on the defined battery type (factory setting: lead-acid battery) and its cut-off voltage the charging is done in 3 steps. In step 1 the battery is charged with maximum current until the cut-off voltage is reached. Thereafter the cut-off voltage reached in step 1 is kept for a precisely defined period of time. Subsequently it changes to step 2, trickle charging. The charging current limitation is applied according to the principal of the pulse-width modulation (PWM). Both the charging profile for LiFePO4 batteries as well as the user-defined profile offer a third charging step. 2 LEDs indicate quickly and reliably the ongoing charging step, warn of deep discharging and show the state of the load output. 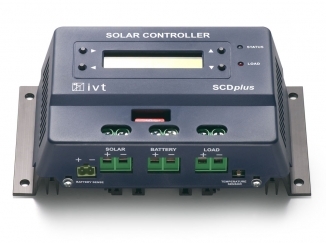 The SCplus/SCDplus Solar Controllers offer an integrated standby function. In the case of insufficient solar power the solar controller switches into standby mode. This way, the internal current consumption of the solar controller is reduced by up to 40 %. With this, the connected battery is preserved and unnecessary discharging prevented. If sufficient solar power is available the solar controller returns to active mode automatically. Furthermore, the solar controller can be switched into active mode manually via push button. The load output shuts on respectively off at the defined time. If no solar power is available the load output shuts on after 2 minutes, and shuts off again if solar power is available. In the case the end-point voltage is reached the load output shuts off automatically. As soon as the reactivation voltage is reached it turns back on. reached the reactivation voltage again (factory setting). All important protective functions such as overcharging, deep discharge protection and reverse polarity protection are controlled fully automatic and surveillance-free by the microprocessor. As soon as the cut-off voltage is reached the solar controller disconnects the charging current. With this, overcharging and damaging the battery is prevented. In order to protect the battery against unrepairable damage in the case of deep discharging, the load output will be shut off if the end-point voltage is reached. Depending on the chosen setting, the load output remains off respectively will be switched on automatically, if the battery has been recharged sufficiently. End-point voltage and reactivation voltage can be parameterized individually via display respectively via software. An optical warning (LED) is given shortly before the end-point threshold is reached. The controller is secured against short circuit and reverse polarity by means of a flat fuse. 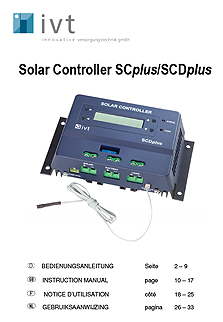 SCDplus Solar Controller with illuminated LCD-Display and comfortable control buttons. The SCDplus controllers are additionally equipped with a clearly structured LCD display. It informs about the most important parameters such as system voltage (12 V, 24 V or 48 V), solar input (energy counter), battery status (battery voltage, charging condition, charging current), ambient temperature, selected temperature coefficient and load output (load current). A connection between the solar controller and PC may be established by virtue of the USB interface. With the windows software the charging profile, deep discharge protection, temperature coefficient, load output functions, time and date can be configured on the PC. Furthermore, the operation data of the solar system can be protocolled, monitored, exported in *.txt format for evaluation. The following parameters are recorded every second: time (Time), battery voltage (Voltage), battery charging current (Charge current), load current (Load current) and temperature (Temperature). For detailed information regarding the software please refer to the operation manual of the SCplus/SCDplus series.